Today's review will be added to our fun summer of learning. 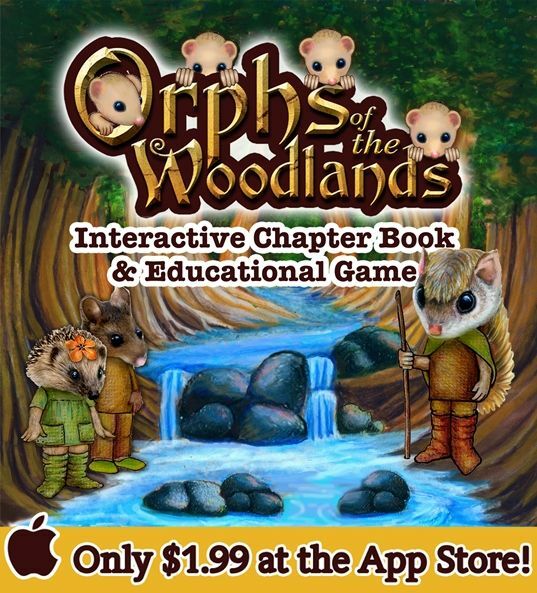 We had the opportunity to play with a new app by Star Toaster called Orphs of the Woodlands at Tangletree. This app requires iOS 8.0 or later and is compatible with iPhone, iPad, and iPod touch. It is an interactive book about critters who are orphaned and some that think they may have become orphans (orphs) as their parents have disappeared following a dam breakage. You will follow along with Abba, the flying squirrel, as he tries to investigate exactly what has happened. Just some of the critters you will encounter on your journey are hedgehogs, toads, crows, chipmunks, beavers, and mice. As you are reading along with the 122 page story, you will notice links along the way that take you to other tasks to complete. As you complete those tasks, you earn supplies to help take care of the orphs whom Abba is taking care of in his treehouse. Each of the links is clearly marked with a different color and include activities in the subject areas of grammar, math, vocabulary, science, thinking skills, life skills, and art. There are 75 lessons with over 130 tasks to complete. The links work in several different ways. You may just see a pop up explaining the definition of the word, or be taken to a video with more information, or simply be taken to another page with more details. For instance the link above, "flying squirrels", brought up a page giving you details about flying squirrels. As you will notice in the yellow title, it says "job training". In order to earn the supplies needed for the orphs, students will complete various job training exercises and then answer questions about their training to earn stars. Each job training category has an icon that matches with the help wanted icon. So first, students need to be sure they have completed the training section (#1) before answering the questions in the help wanted section (#2). When a task is complete, they will see a green check mark to let them know it has been completed. If they miss an answer, it is identified with a red x. There is not an opportunity to correct any missed answers. Here is an example of a vocabulary pop up link. In Stumptown is where students will find the tasks they need to complete. Each treehouse that needs a task completed will have a number on it with the tasks that are available. When all tasks are complete and enough stars have been earned, supplies are rewarded for the orphs such as food, clothing, and other necessities. I snapped a few screenshots of some of the different learning categories for you to see. This one was on tally marks. This lesson was on Impressionism and it was fun to see mention of Monet as we have been studying a little about him over the summer and painting a few of his water lily designs. This science lesson was on rainbows and how to remember the colors. 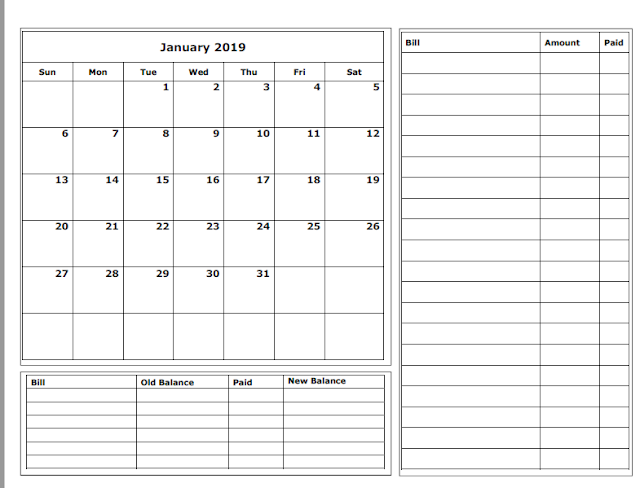 There is a progress screen available so students and parents can keep track of progress too. More than one student can use the app as well. This app is recommended for ages 9-11 and I used it with my daughter who is 12. The tasks involved were fairly easy for her but also a fun way to get in some review. I read along as well and found it neat how they incorporated the subject areas right into the story line. For example, Abba was speaking once of how he had worked for Pinecone Publishers and needed to know the difference between common and proper nouns which lead to a lesson on that subject area. Sarah completed all of the current lessons and finished the book. There is more scheduled to be added to the app at a later date. At the end, you can put in your email to be notified when it is updated. This app currently sells for $1.99 in the iTunes store. Overall, we would recommend this app to families who want to add a great education app to their children's screen time or supplement their current curriculum. Find our more on Star Toaster by following them on Facebook and Twitter. Thank you for your great review of "Orphs of the Woodlands at Tangletree". 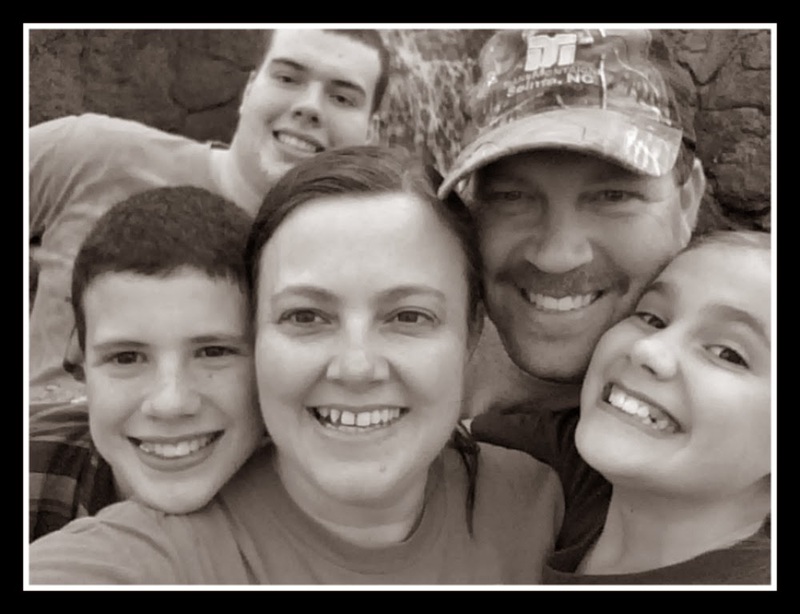 We enjoyed reading your blog and appreciated the time and energy you put into reviewing our program. Thanks so much! P.S. Loved your layouts and thorough descriptions! This woodland is such an well known sector which could have been kept so many of people faith on the woodland side. website will give you some handy tips and guide to write your term and others academic papers.